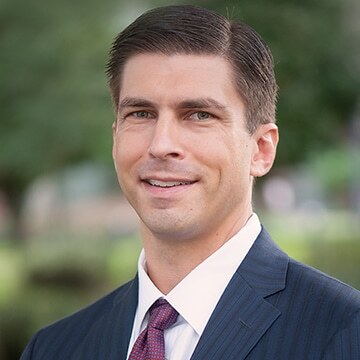 David joined Grennan Fender Hess & Poparad, LLP in 2013 and has over 15 years of experience in public accounting. As a tax partner, David provides compliance and value-added consulting services to family and closely held small and mid-size businesses. David primarily services corporations and partnerships and has experience in the agribusiness, real estate, construction, manufacturing, technology and professional services industries. Prior to joining the firm, David was a tax director/senior manager at a national CPA firm. David has been an Orlando resident since 2001 and is married and has two children, a son and a daughter. Agribusiness, real estate, construction, manufacturing, technology and professional service industries. America Institute of Certified Public Accountants, Florida Institute of Certified Public Accountants, Board Member of the Association for Corporate Growth - Orlando, Member and presenter for the CEO Leadership Forum and National Society of Accountants for Cooperatives. David is currently involved with assisting St. Charles Borromeo Catholic School’s fundraising and events programs. David is a past board member for the Athlete Connections Foundation, a nonprofit 501(c)(3) organization that is designed to utilize sports to teach youth about life skills.